Plato was long assumed to be a student of Socrates simply because Plato writes as much in many of his dialogues and he is the best source for knowing Socrates’ thought, though if he turned him into a mere mouthpiece for very different ideas in the later dialogues he may also be the worst. At the trial of Plato’s Apology, Socrates twice mentions Plato as one of those present in the assembly. 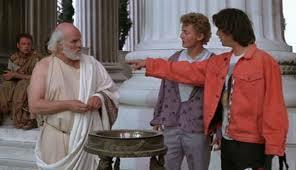 As Socrates is about to die in Plato’s Crito, Socrates asks where young Plato is, and another student says that Plato was sick and could not be there. Of course, in both of these dialogues Socrates is a character and his words are actually those of Plato himself. Scholars now are critical and wonder if Plato merely had a habit of writing himself and his family into Socrates’ circle. It is difficult to tell whether or not Plato’s older cousin Critias or Plato himself were actual students of Socrates or whether they were simply influenced by this figure who became quite famous following his trial and death. 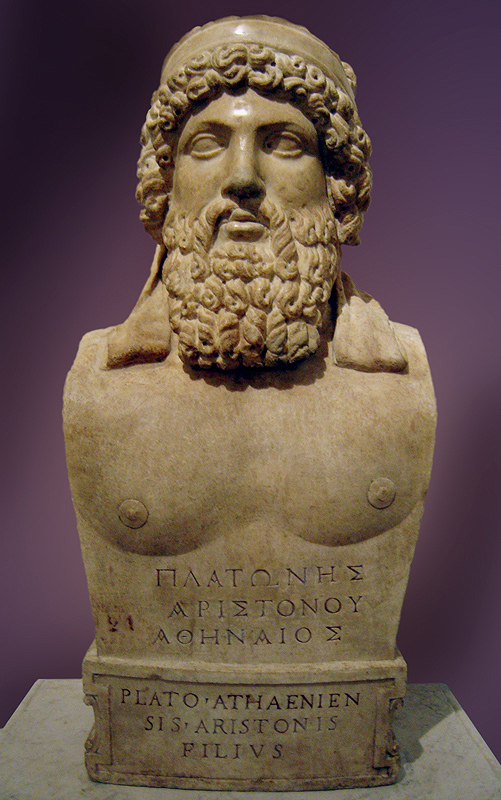 Plato’s actual name was Aristocles, but according to the story his wrestling instructor named him Platon or ‘Broad’ because he had a wide figure and wrestling stance. Plato was known to have a wide and thus ‘broad’ breadth of knowledge covering all subjects of ancient thought and might have acquired the nickname in this way. Plato’s father died when he was young, and his stepfather became the Athenian ambassador to the Persian royal court. Remember that Persia was a great source of ancient world cosmology at the time, and Zoroastrianism, Persia’s solar monotheism, would be a major influence on the Abrahamic religions just as Plato himself would. 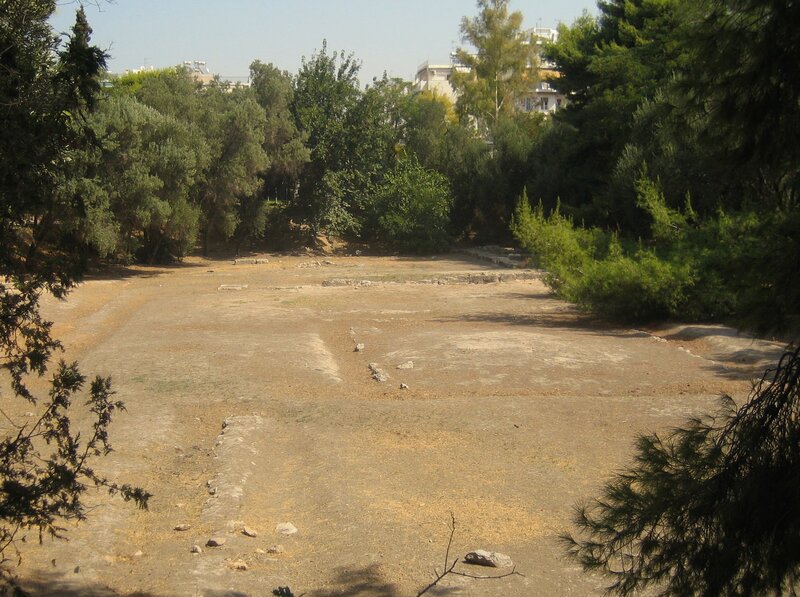 Long after his attempts to become an established playwright, after his dialogues about Socrates had gathered some fame, Plato founded his Academy in 385 BCE, an open area near a sacred tree grove where he, his students and other lecturers would teach and debate matters of philosophy and cosmology. Academy in fact means ‘porch’ or ‘step’, an open area in front of a building, a fact it took scholars long to understand as they believed that the Academy must have been a building itself. Scholars made a similar error looking for the famed Library of Alexandria (an Egyptian center of ancient world cosmology, Platonism and Christianity), when in fact the library was a shelf that ran along a hall that connected two buildings, just as one would say a collection of books is a personal library. We will first look at three of Plato’s early dialogues, the Apology, Crito, and Meno. Next week we will look at some of Plato’s later dialogues, the Symposium, Republic, Timaeus, and Parmenides. The early dialogues will give us the best picture we have of the original Socrates and his thought, and the later dialogues will show us Plato’s ideas.